Traditionally, a blowout is a method of straightening natural hair, usually performed with a blow dryer featuring a comb attachment. 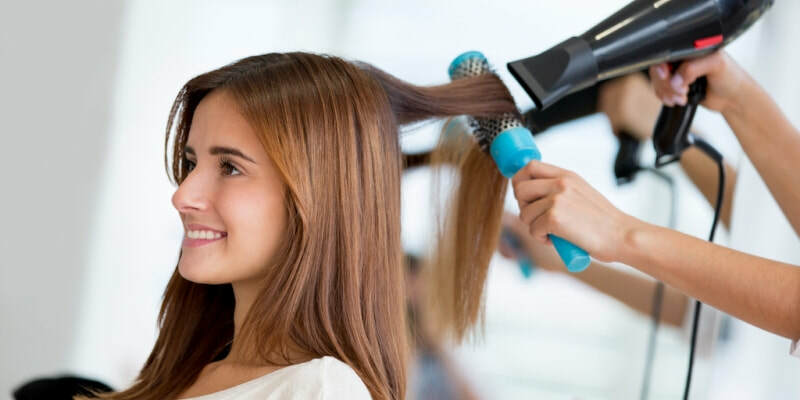 Alternately, you can use a blow dryer with a focused nozzle and a paddle brush or a round-bristled brush. During the 1960s-1970s, this technique was used on natural hair to make the hair appear longer. A traditional blowout is not to be confused with Dominican blowout. Before relaxers became popular, blowouts were often used to stretch the hair before using a hot comb to further straighten tresses. A blowout isn't expected to make natural hair bone straight. While it does loosen the hair a little, you'll still get a "textured" result with this method. Its primary function is to stretch the hair. Once the hair is stretched after the blowout, you can then style it in whatever way you wish; the stretched out state is easier to handle for some people with a texture that's very tightly coiled. At A Zen & Salon, our stylists are masters of the round brush, queens of the blow dryer - and their mission is to leave you feeling like you’re ready to hit the red carpet at a Hollywood premiere. Tap into your inner hottie and face the world head on!